We did our first camp out as a family and we had a great time. 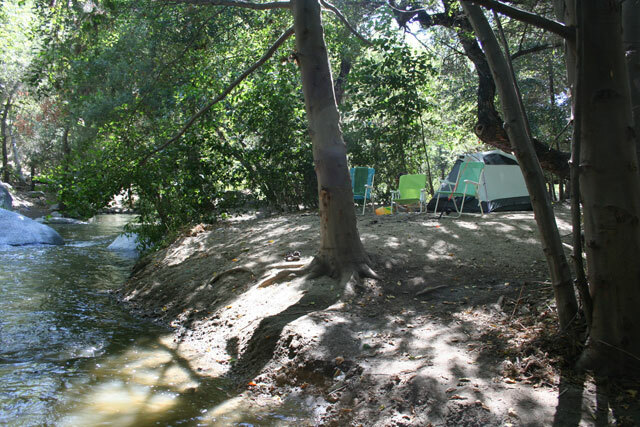 We decided that if we wanted to really enjoy ourselves camping in Southern California that we should attempt to go during the week to beat the crowds. Tuesday morning after getting everything ready we decided to take off an do a little camping about an hour and a half away. 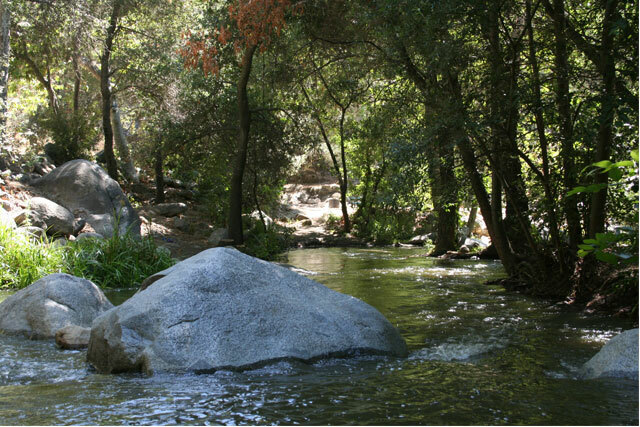 We decided upon two different spots, Green Valley or the La Jolla Indian Reservation in Pauma Valley. We had heard that Green Valley was OK, better than others but not the greatest, we heard that La Jolla Indian Reservation was fun, but to avoid it on the weekend at all costs. We still really had no idea where we were going to go until we hit interstate 8 and started heading out of town. I guess we had had our minds set on going to Green Valley, but made a last minute audible and decided to hit up the Indian reservation, and I am glad that we did. 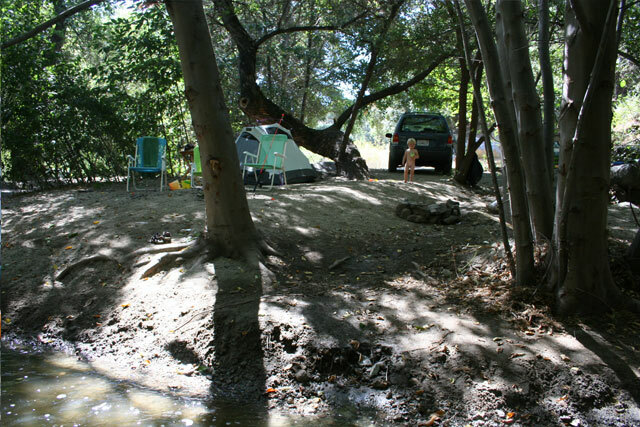 We were able to get a campsite right on the river next to some small falls, with no one around., not anywhere! 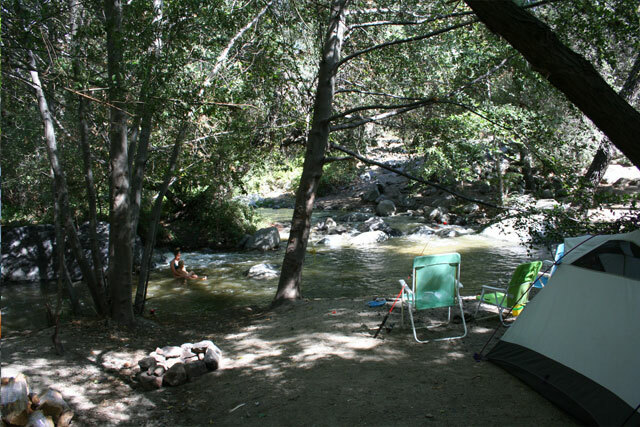 Occasionally a group of people would come inner-tubing down the river, but for the most part the campground was pretty much empty. Which was great I might add, because we had read some reviews that were pretty negative about the La Jolla Indian Reservation Camp Grounds from over crowding, late night parties fights etc. So needless to say we were a bit hesitant to go there at first, but we thought that we would give it a try because it couldn’t be any worse than some of the spots that we use to camp in Mexico, pre Eli years. It kind of reminded us a little bit of Mexico, as far as the recklessness or lack or organized rules that usually take the fun out things. Since it was on an reservation ran by a band of Luieseno Indians they have their own rules that are a bit more lenient I might add. 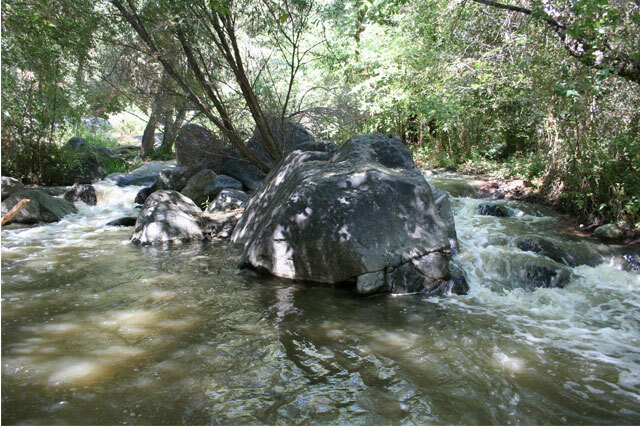 For example they had a little river/stream running through the campground that had a few water falls and rough rapids. Instead of posting warning to stay out of the rough water like you would see at a normal state run camp ground, these guys were selling inner-tubes. We camped out for two nights and three days. Eli had a blast as did Lyndsey and I. 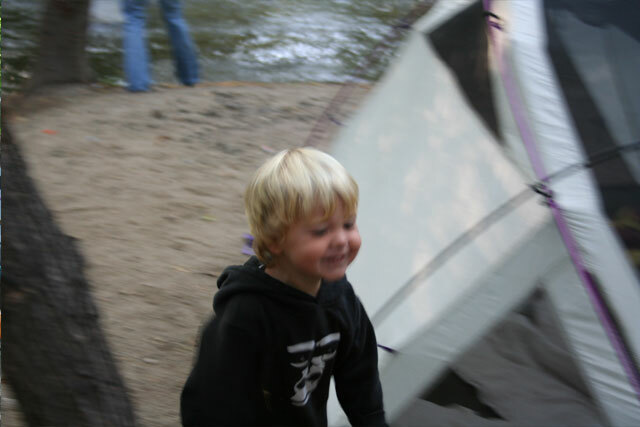 The first night and morning were a little rough, I would not recommend sharing a two person tent with a toddler. They have a much different sleeping etiquette than we adults do. From kicking the feet to face plant head stands you almost had to keep your hands up most of the night just to save face, no pun intended. We new that if we were going to make it work that we would have to make it through a second night, which was much easier, maybe because I slept in car. Overall the trip was a great success. We were able to test our our camping equipment, or at the very least wipe of the cobwebs. We were also able to get out into nature and away from the computers and cellphones for a few days. Looks really nice. He’s just toooooooo cute!